Wei Gu, of the T'ang dynasty, took a trip to the city of Sung. In the evening, he came upon an old man leaning against a large cloth bag and reading a big, thick book. He asked the old man what book he was reading, and the old man replied, "This book records marriages. I need only use one of the red ropes in this bag to tie a man's foot to a woman's, and the two are sure to become man and wife." Then the old man stood up and began walking toward the rice market, followed by Wei Gu. The old man pointed to a small girl who was being carried by an old woman, and said, "This is your future wife." Wei Gu grew very angry, wondering how this silly little girl could ever possibly be his wife, and ordered his servant to kill her. But the servant merely made a small cut between the girl's eyebrows. 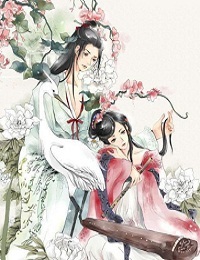 Fourteen years later, the provincial governor gave his daughter to Wei Gu as a wife. The bride was extremely beautiful, except that she had a scar between her eyebrows. It was said that it had been made fourteen years earlier, when she was passing by the rice market in the city of Sung with her nanny. Upon hearing this, Wei Gu finally believed what the old man had said. Today, "The Old Man Under the Moon" can refer to anyone who acts as matchmaker between a man and a woman.